Domestic violence situations unfold in a matter of minutes, but the impact on the lives of those involved can be lasting. From a legal standpoint, domestic violence charges require a calculated defense strategy to ensure a defendant’s rights are protected. 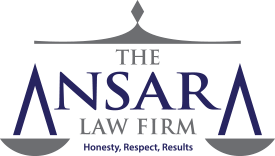 Domestic violence defense attorneys at The Ansara Law Firm, understand our clients are facing serious criminal penalties, as well as potentially devastating familial and social consequences. Successful defense following a Fort Lauderdale domestic violence arrest will necessitate a defense attorney who understands how these cases occur, what duties law enforcement officers have, the necessary proof burden and how to effectively discredit or mitigate the state’s evidence. Domestic violence is characterized as much by the relationship between those involved as it is the actions alleged to have occurred. It is defined by F.S. 741.28 as any assault, aggravated assault, battery, aggravated battery, sexual assault, sexual battery stalking, aggravated stalking, kidnapping, false imprisonment or any criminal offense that ends in physical injury or death of either a family member or household member of the alleged offender. With the exception of those who have a child together, family or household members have to be either currently living together or have resided together in the past. According to the Florida Department of Corrections, 77 percent of all domestic violence offenses were for simple assault. Defendants are predominantly male and alleged victims predominantly female (76 percent). Allegations of domestic assault and battery are taken very seriously in Florida. The offense is often harshly-prosecuted, with penalties and long-term consequences often far in excess of what one would receive for a conventional assault or battery charge. There was a time not many years ago when situations of domestic violence were viewed as private matters. Neighbors, law enforcement officials and courts were highly reticent to get involved. That has changed, and today, the pendulum has swung far in the opposite direction, with more than 9 out of 10 Floridians indicating in a recent survey they believe domestic violence is a widespread problem in our society. From a law enforcement officer’s perspective, domestic calls are some of the most volatile and there is considerable pressure from the community to stop domestic violence. That means most of the time, when police respond to a domestic disturbance call, an arrest is going to be made. The good news for defendants is evidence against them is often slim. If a person is convicted of domestic violence assault or battery, judges often take a harsh approach in order to send a message. The Florida Department of Law Enforcement reports that in Broward County in 2013, there were 6,226 reported incidents of domestic violence, including 4,700 simple assaults, 1,160 aggravated assaults, 123 rapes and 11 murders. That’s a slight decrease from 2012, when there were 6,823 reported cases of domestic violence in Broward County. In Palm Beach County, there were 5,537 reported domestic violence incidents in 2013 (down slightly from 5,391 in 2012), and in St. Lucie County, there were 1,494 (up slightly from 1,424). The chances of a charge being dropped, amended or diverted increases greatly the sooner a defense lawyer is on board. Although you may be entitled to representation by a public defender in your case, there is no guarantee you will retain someone who is dedicated and knowledgeable about this particular area of law – and that is critical to prevailing in these cases. Even if the victim has recanted the story or does not wish to pursue charges, the ultimate decision rests with the state, and prosecutors don’t tend to heed these requests in domestic violence cases the same way they do in others. Considering the profound impact a conviction can have on your future, hiring a Fort Lauderdale domestic violence defense lawyer is not a decision you should take lightly. Choose a legal team with experience and proven results.